When a condenser or tube leak hits, a plants’ productivity can plummet. 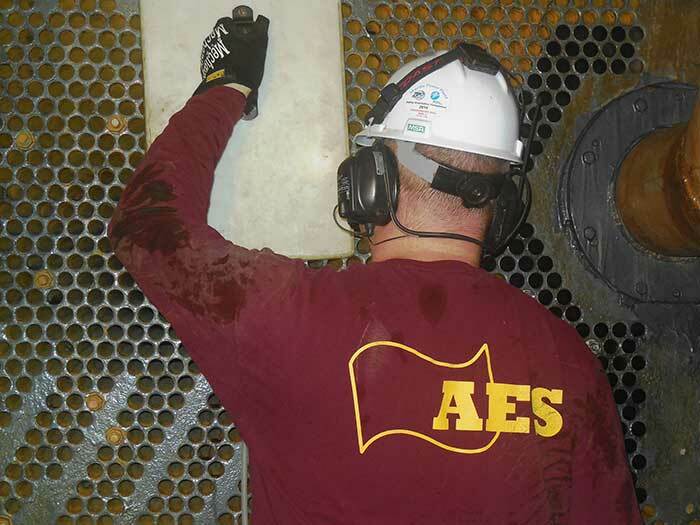 That is where American Efficiency Services comes in – AES uses advanced helium leak detection technology to quickly locate leaks within a plant’s condensers, efficiently helping your plant get back on track. 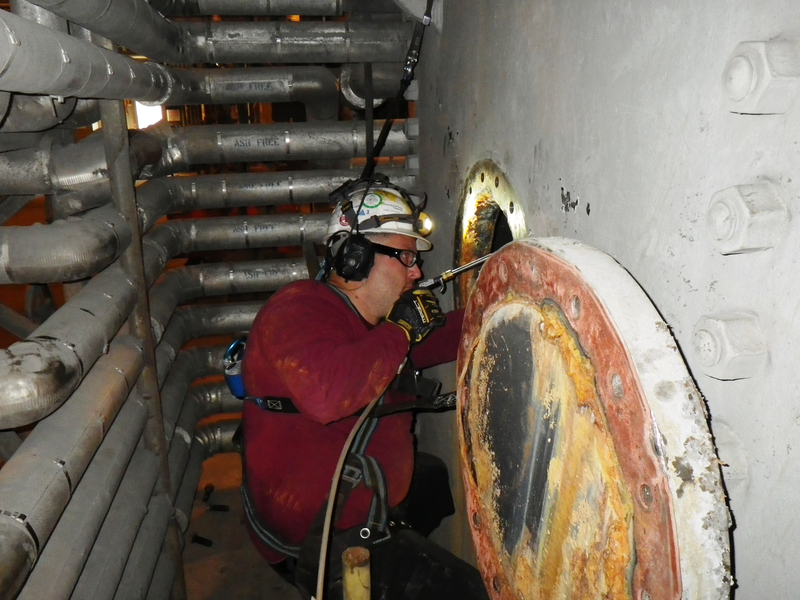 Continue reading to learn more about our leak detection process. We’d enjoy hearing from you as well! Give us a call or fill out our online Estimate Request form and our team will be in touch soon. 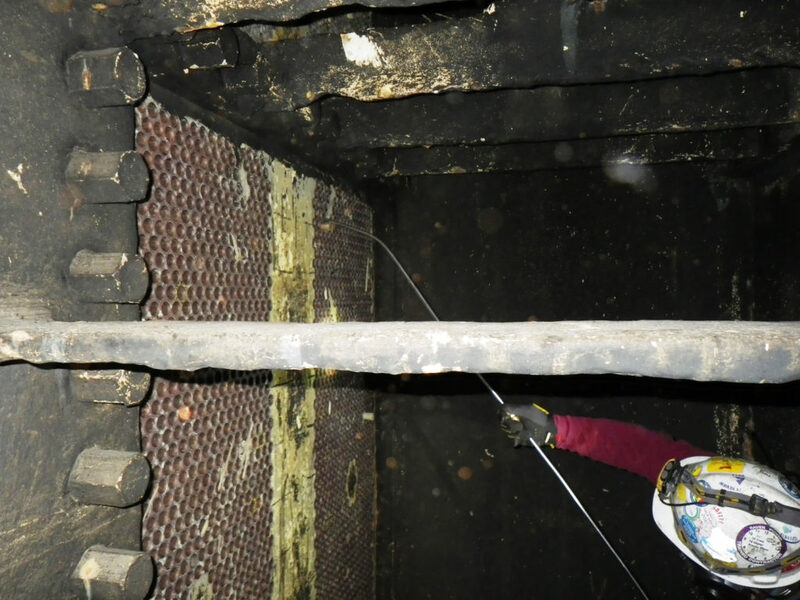 Why Should Your Condenser Tubes Be Inspected Regularly? 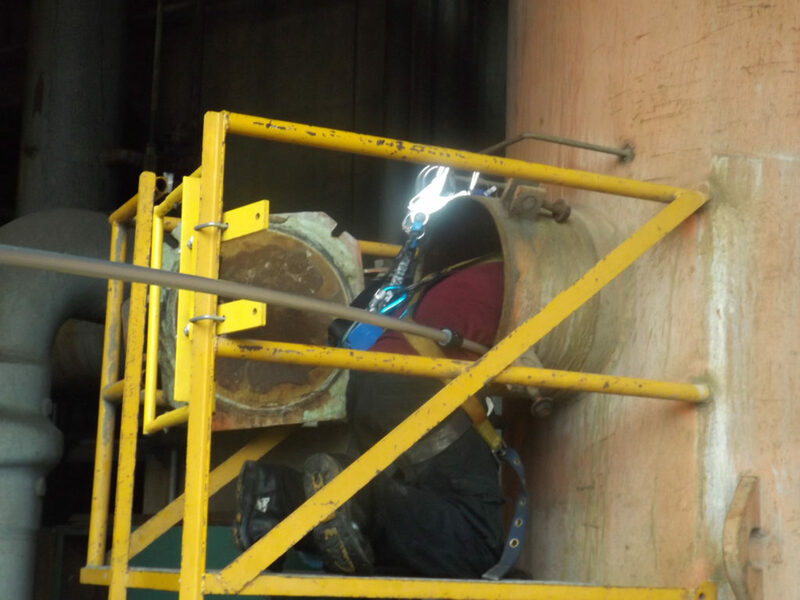 Condenser tube inspections are conducted with the unit on-line. When an operating condenser unit experiences contamination of the hotwell condensate due to cooling water intrusion from a condenser tube failure, it is imperative the source of leakage be identified immediately. Any cooling water contains much greater concentrations of dissolved materials than boiler condensate, so even small leaks can cause gross contamination of a steam generating system. Why Hire AES To Complete Your Inspection? American Efficiency Services’ technique and experience can identify most failures within one operating shift of gaining access to the suspected waterbox. This includes the identification, plugging, and retesting of the tube bundle. Why Do We Use Helium And How Does The Process Work? Identifying condenser tube leaks utilizing helium as a tracer gas, coupled with inspection experience, has proven to be the most cost effective method to date. Plastic, dimple plugs, shaving cream, and smoke have all been used in the past to identify condenser tube leaks. 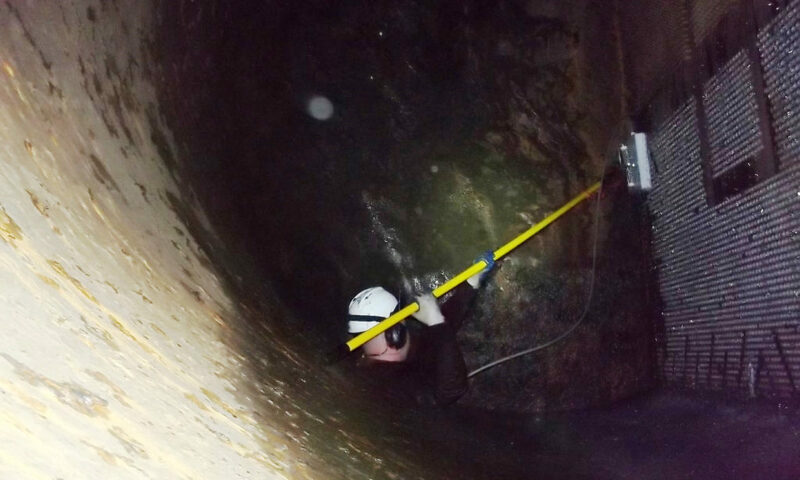 These methods have proved successful in identifying very large leaks, but are not always successful for the identification of all leaks. 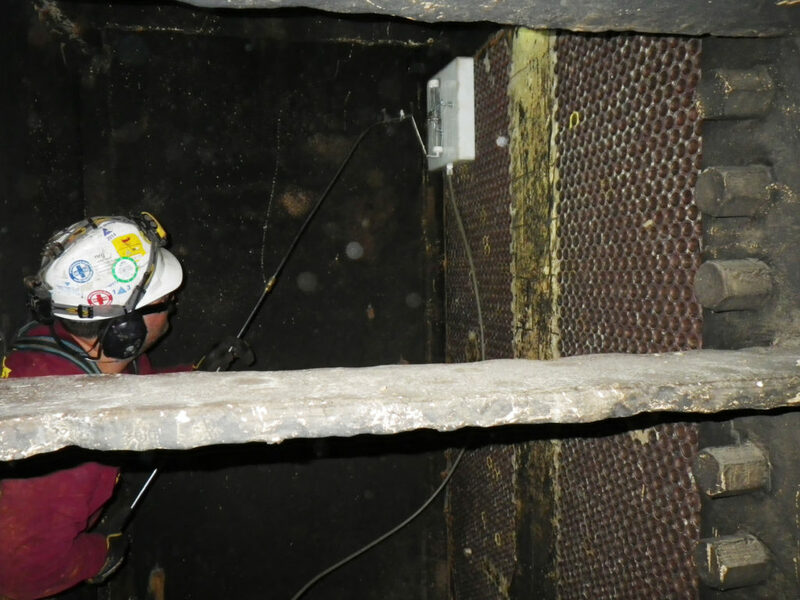 They can also be time consuming; in the past, several shifts/days have been consumed identifying condenser tube leaks. AES has seen several situations where numerous tubes were plugged in a specific area in a desperate attempt to return the unit to service “leak free”. Plugging additional tubes reduces the efficiency of the condenser prematurely. Even though the condenser is designed to withstand a certain percentage of plugged tubes, the life expectancy of the condenser will be reduced over time. Using helium as a tracer gas is precise and quick so only the tube(s) leaking are plugged and the condenser is back doing its job, operating efficiently and making the utility money. Once a tube bundle is isolated from service, an air leak has now been created instead of a water leak. Helium is applied to the tube bundle in a systematic process using a large plenum so each tube will have helium applied to it. If helium is applied to a leaking tube, the helium will enter the steam space through the leak. While helium in the steam space is removed by the unit’s air removal system, AES’s inspector will be located at the discharge of the air removal system with a mass spectrometer sensitive to helium. As the helium is ejected from the system, the mass spectrometer will register an indication. The leaking area is narrowed down with the use of smaller plenums until single tubes can be inspected to determine the exact tube(s) contributing to the contamination. The leak will be recorded and at the completion of the inspection, all leaks will be plugged, and a re-inspection will be conducted to insure all plugs have been sealed properly. Tube sheet diagrams will be marked to identify the exact tube(s) and a final report including photographs will be submitted at the conclusion of the inspection. With AES’ guarantee that we will find the leak, you have nothing to lose and everything to gain. 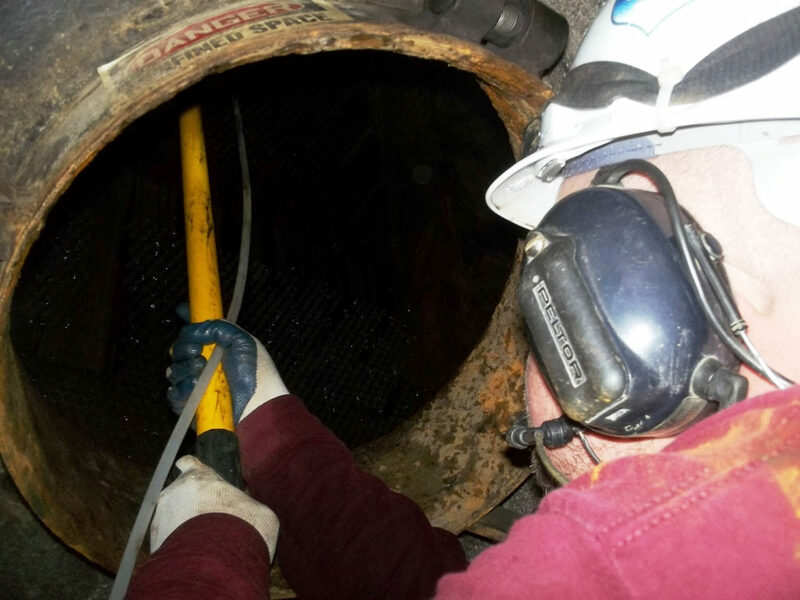 Full Entry Tube Inspections are still the most cost effective & GUARANTEED when SAFE!